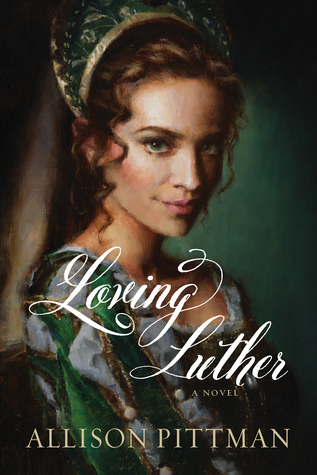 Though the cold walls offer no comfort, Katharina soon finds herself calling the convent her home. God, her father. This, her life. She takes her vows--a choice more practical than pious--but in time, a seed of discontent is planted by the smuggled writings of a rebellious excommunicated priest named Martin Luther. Their message? That Katharina is subject to God, and no one else. Could the Lord truly desire more for her than this life of servitude? The start of this book was pretty slow moving for me but still held my interest. Things got a lot more interesting further along and as the characters changed settings. I think Allison Pittman did a good job on portraying this story though I would like to do more research on the history. I thought the difference in a trust/relationship with God vs. following orders and rituals was important. Just by following traditions doesn't mean you have a relationship with Christ. There were some great thought provoking conversations and overall this book held my interest. Thanks to Tyndale for offering me a free copy in exchange for an honest review. All opinions are my own. Bringing Maggie Home Review: Sawyer's Best Yet!